6 tasty weeknight dinners plus a chocolatey weekend treat! This spicy fish dish comes alive with a generous squeeze of fresh lemon juice. By frying the rice in plenty of spices before simmering it in stock, the grain takes on a whole new level of nutty, toasty flavor. 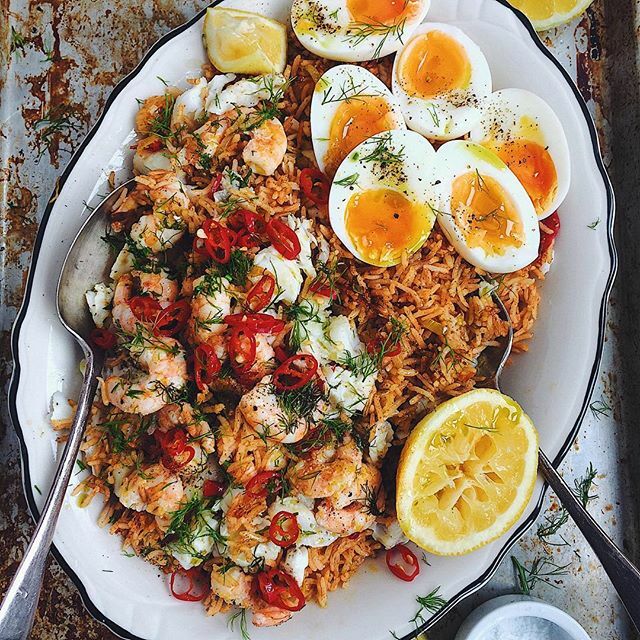 Feedfeed Tip When finely chopping the red chili, make sure to wear gloves or wash your hands immediately afterwards to avoid irritating your skin or eyes! The bitterness of tahini is mellowed out by the sweetness of maple syrup, making for a spoon-licking dressing (that you're probably going to want to go ahead and make a little extra). The recipe calls for goji berries, hemp hearts, and sunflower seeds for toppings, but feel free to add whatever crunchy fixins you prefer. Feedfeed Tip If you don't like tahini, feel free to sub in your favorite nut butter for the dressing. This simple weeknight combines starchy veggie noodles, hearty greens, and a generous drizzle of tahini dressing. Go ahead and make a little extra to pack for lunch tomorrow. 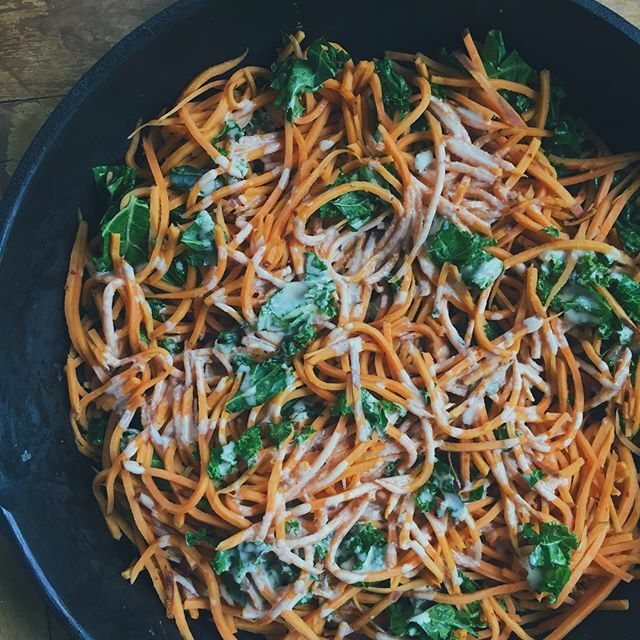 Feedfeed Tip Whether you're looking to save some time or you don't have a spiralizer, you can always opt to buy spiralized sweet potatoes rather than doing it yourself. We can't think of a better dish to serve on a warm spring night. 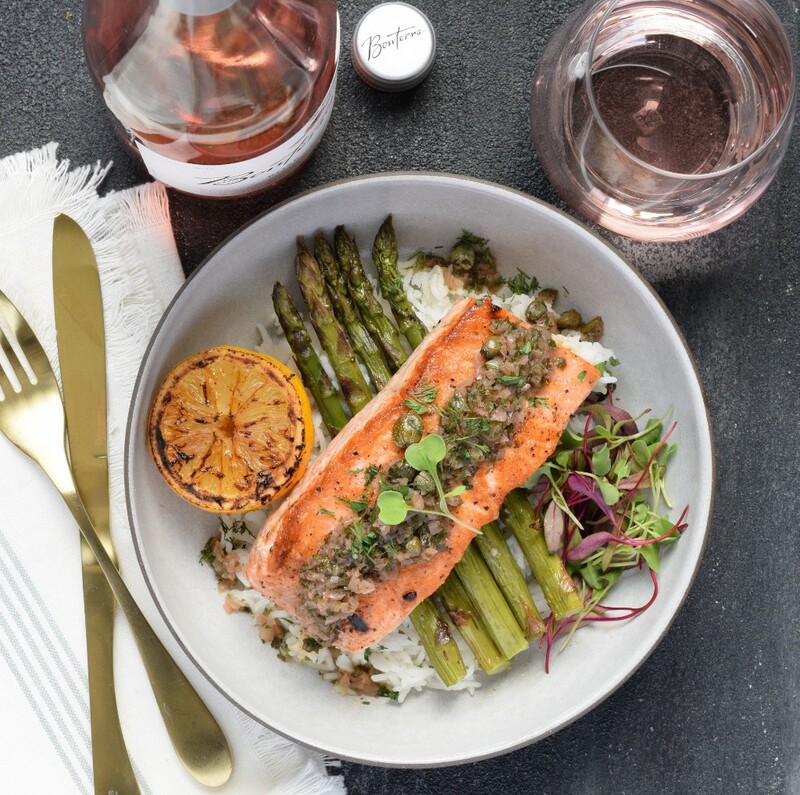 Not to mention, it's a great excuse to pop open a bottle of rosé to drink with dinner. Feedfeed Tip When shopping for salmon, try to opt for wild caught salmon. If you're not sure about the different varieties, talk to your fishmonger–they'll likely be able to point you in the right direction. 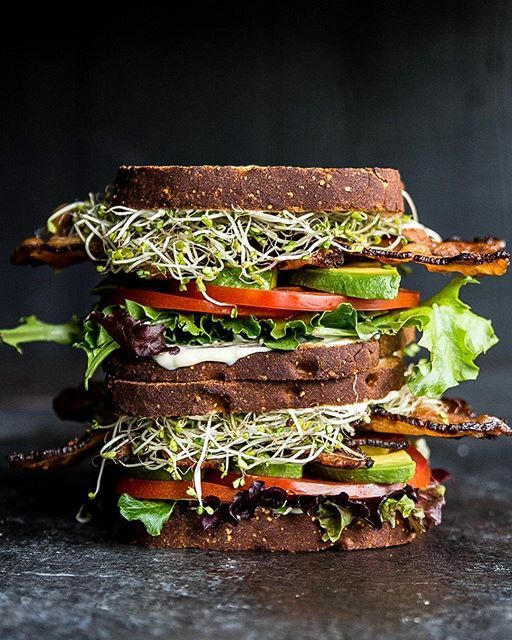 The best thing that you can do for yourself besides making a BLT for dinner, is making a BLT for dinner and layering on a heavy handful of ripe avocado slices. Long days call for simple sammies, and we're a big fan of this one. 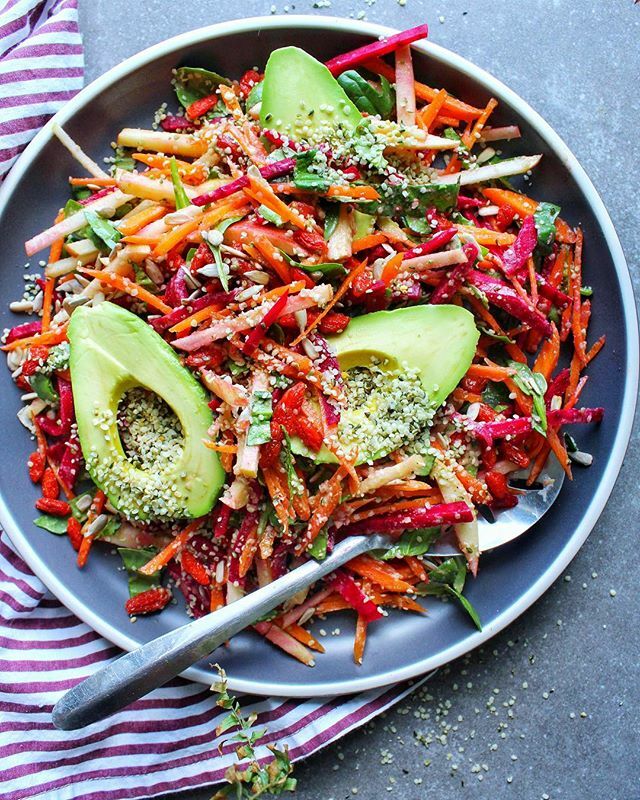 This healthy salad has got all the goods. Colorful, herbaceous, and super filling, this low-key dinner is perfect after a busy day, and any leftovers make for a great lunch the next day. 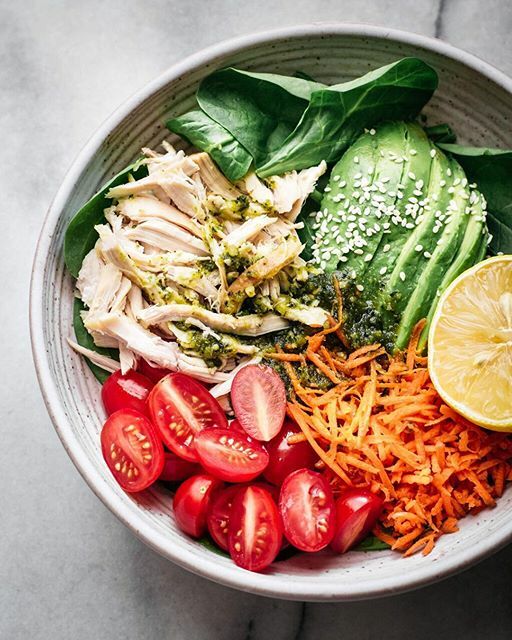 Feedfeed Tip Buying a rotisserie chicken is a great meal prep strategy. They're cheap, quick, and a great way to add protein to any meal you're whipping up. 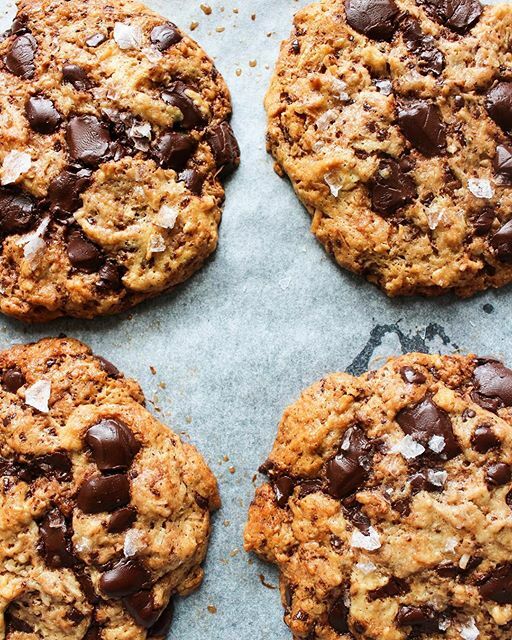 Bursting with chocolate chunks and flaky salt, this tahini-laden dessert is just the weekend treat that you're looking for.